Promote NiceJob to your network and earn money for every new signup or get NiceJob gift cards to distribute as a value add for your product or service. Do your friend(s) a favour and give them $50 off towards a NiceJob plan. Get $50 credited to your account as a thank you from us when they buy a plan. 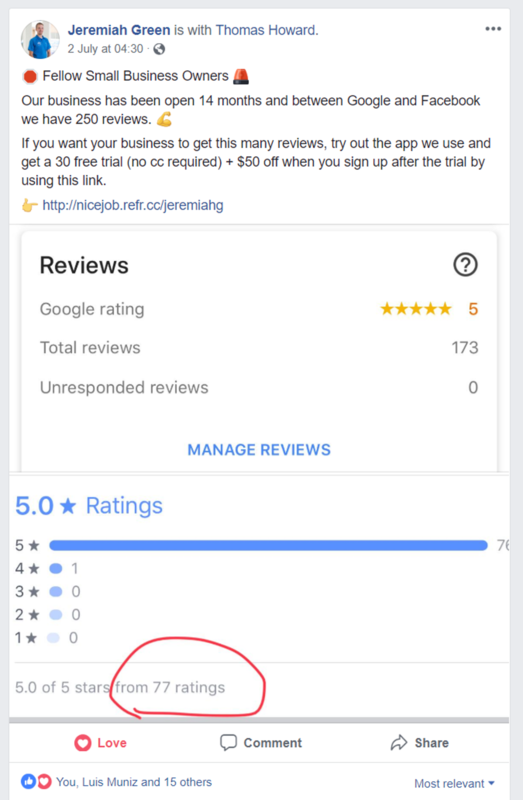 If you use NiceJob you already have a unique referral link. Login and check the blue bubble for yours. If you’re not a user and you want to refer people to NiceJob, request a referral link below. Be helpful. Be helped. Be loved. You tell friends about great movies you saw recently so they can enjoy them too. Why not also tell them about software they’d love. Offer your friends value and be known as helpful and smart and they'll return the favor. NiceJob helps retailers, manufacturers, distributors and more sell their products. NiceJob cash cards can be used toward any NiceJob paid plan. We'll produce and send you the cash cards for free. Want to increase your average cart order size? Encourage customers to purchase a higher sticker price product? Add value to signups for your program or service? 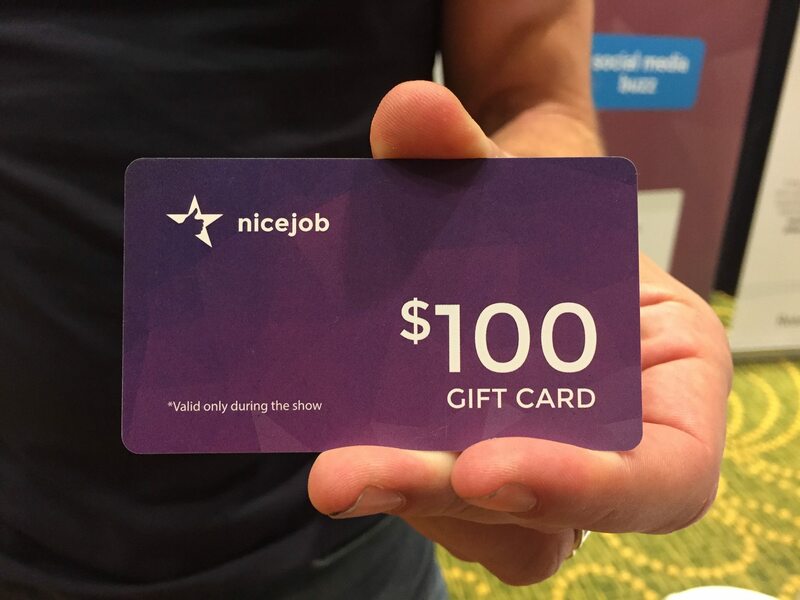 Incentivize customers with your $100 NiceJob cash cards. Like to say thank you to some special customers? Or increase the value of a giveaway? NiceJob cash cards are free to you, and are an awesome reward for your valued customers. a great reputation with your customers. And lastly, you have an audience of at least 1,000 people (contact us for exceptions).